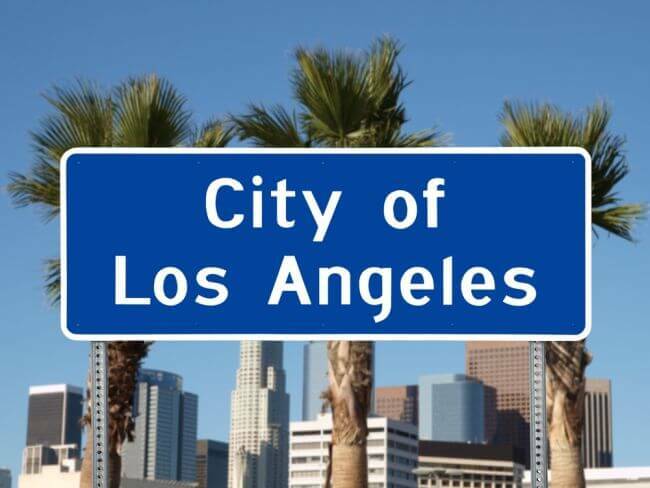 Centrally located in Los Angeles, Downtown is a lively residential, shopping, and business district. Unlike San Diego, Orange County, or L.A.'s Westside, a good public transportation system makes Downtown easily accessible. A transportation hub, Downtown has many transit options, such as Amtrak, Metro rail, and Rapid bus lines. Boasting a world-class skyline, historic neighborhoods, and must-see hot spots, this sprawling metropolis is home to the city's government, preeminent museums and stadiums, and illustrious skyscrapers. Downtown is a hotbed of legal activity. The courthouses are nearby, and all the firms are in close proximity, which facilitates making contacts. The firms downtown are very sophisticated and somewhat conservative, but take well to candidates from out of state because most of L.A.'s homegrown lawyers live on the Westside and try to obtain positions there. If you're pursuing entertainment law, try Century City. The legal market Downtown is dominated by commercial litigation, real estate, corporate, employment, and IP. There are many powerful law firms that are wide open for the right candidate. Los Angeles was built around a downtown area that featured all the banks, corporations, and law firms, as well as most of the residents. The area was compact, with dense housing and congested traffic. In the coming decades, the rest of the city was built around the old Downtown. Today, Downtown can be divided into seven major districts: Little Tokyo, the Fashion District, Bunker Hill, Chinatown, South Park, the Historic Core, and the Wholesale District (aka The Nickel, for its location on 5th Street). In the heart of Downtown is the Historic Core, home to dozens of blocks of 150-foot-tall buildings, mostly unchanged since the 1930s. When the renovation of the area took place in the '60s, the old commercial developments were left standing. City blocks in the core are larger than in most other cities in the U.S., in contrast with the smaller residential lot sizes found throughout the rest of the city. During the day, the core welcomes 300,000 commuters arriving for work. However, only 25,000 people make this district their home, which gives nighttime in the Historic Core a peculiar feel. Within the Historic Core is Downtown's Jewelry District, home to 5,000 jewelry retailers, the second-largest accumulation of jewelers in the world. Generating $2.5 billion a year, a dizzying assortment of storefronts and former theaters composes this small business district of resplendent wealth. Perhaps the most noteworthy of the shops here is St. Vincent's Jewelry, which was once a university, the first founded in Southern California. South of the core, the Nickel houses many large warehouses, unmistakably evocative of centuries past, and the imposing fortress of the LAPD's central facilities. Downtown's Fashion District, the largest consolidation of fashion businesses in the Western United States, is the $8-billion nerve center of the California fashion industry. Rivaling New York's Garment District in scope and distinction for trend-setting, the Fashion District is a breeding ground for small businesses serving manufacturers, wholesalers, designers, as well as the public. The Fashion District sees scores of bargain-hunting shoppers assemble on its streets every day. Between Dodger Stadium and the 101 freeway is Chinatown, the cultural center for more than 200,000 Chinese Americans. Exaggerated, curved, and ornamented rooflines give visitors the impression that they have stepped into China. Vendors selling live chickens, ducks, and fish; herbal medicines; and fine chinaware line the streets of this truly exotic area. Chinese New Year explodes in Chinatown with beauty pageants and remarkable parades. The original Chinatown was once farther south, before racial violence and gang warfare drove down property values in the region in the late 20th century. City planners, in an attempt to give Downtown a facelift, displaced the Chinese citizens to build Union Station. Union Station, still serving commuters today, was the last of the majestic urban railroad terminals to be built in the United States. Its Spanish-colonial architecture and landscape of enormous fig trees make it an impressive achievement of 20th-century ingenuity, and today, it represents the once-thriving marvel of railway travel. Within the Chinatown region is El Pueblo, the site of the original 18th-century settlement that became the city of Los Angeles. The history of the Mexican settlers who founded El Pueblo is preserved across from Union Station on Olvera Street, which offers traditional Mexican food, strolling bolero musicians and mariachis, Aztec folkloric dancing, and the oldest residences in Los Angeles. Bunker Hill, or "New Downtown" is the financial district. Beginning in the '60s, the community redeveloped the city, building massive high-rises in order to contribute to Los Angeles' status as a world-class city. Bunker Hill gives Los Angeles its remarkable skyline. Home to major corporations, Bunker Hill is a centerpiece of international capitalism. Pershing Square, the central park of Los Angeles, is located between Bunker Hill and the Historic Core. As an essential hangout for an eclectic crowd of Los Angelenos, Pershing Square features postmodern architecture and an outdoor amphitheater. Bunker Hill also bears the distinction of having some of Los Angeles' best restaurants and bars. The Water Grill, a chic seafood spot on Grand Ave., is consistently ranked as one of L.A.'s best restaurants. With a rooftop pool and a fireplace sitting area with a DJ, The Standard on Flower Street just might be the hippest bar in the city. The South Park area is a mix of residences and businesses slowly undergoing transformation by city planners. There are several significant L.A. landmarks in South Park. The Staples Center, less an arena than a sports temple, brings together the city's major teams: the Lakers, the Kings, and the Clippers. The L.A. Convention Center is one of the world's biggest exhibition facilities. Little Tokyo bears the unmistakable character of small-town life-tiny shops, quaint eateries, and rows of little houses. Many of Little Tokyo's buildings date back to the 19th century. Hitching posts for horses can still be found on the sidewalks. The Japanese roots of the town are apparent, but the population of the area was forever diminished by the internment of Japanese-Americans during World War II. In Little Tokyo is the Los Angeles Civic Center, home to the largest assembly of government workers this side of DC. The Civic Center houses the offices of America's largest county. Here, you'll also find The Museum of Contemporary Art, one of the country's premier exhibitions of American and European art, and the headquarters of the Los Angeles Times. Perhaps the most awe-inspiring building in all of Downtown, or maybe in all of Los Angeles, is the new Disney Concert Hall, home of the Los Angeles Philharmonic. The concert hall is a marvel of modern architecture and represents the renewal of Downtown L.A. Costing $274 million and taking 16 years to complete, the 3.6-acre curved stainless-steel hall includes two outdoor amphitheaters, several auditoriums, restaurants, and a gigantic urban garden. Downtown is home to an established legal community. Expect to bill in the range of 1,800-2,100 hours, the norm being 1,950-2,000. The market is competitive, but not as competitive as the Westside. The firms found Downtown offer more options for attorneys, and most lawyers here make market salaries. There are still a lot of good mid-sized firms that offer lower salaries but a more balanced life to support associates. Even in a slow market, you could expect work in litigation, labor and employment, bankruptcy, and real estate. While the most marketable candidates have 2-5 years of experience in their fields, if you have a strong background in your field and/or have a significant book of business, BCG undoubtedly will be able to find you a great position.